Amitabh Bachchan finds his favorite singer Lata Mangeshkar at Twitter. As per Latest Amitabh Bachchan Twitter Updates, he wrote that, "The most gratifying moment on Twitter came when I got to interact with Lataji." As replay Lata Mangeshkar Twitter Updation, she wrote that, "I am really happy to connect with Bachchan Saab through Twitter. I must admit it feels good to be in touch with him again. I don't know if they know this, but I'm very fond of the Bachchans. I'm most grateful to both Amitji and Jayaji for always showering me with their love and affection. I'm glad I got an opportunity to connect with Amitji and the parivar through Twitter." 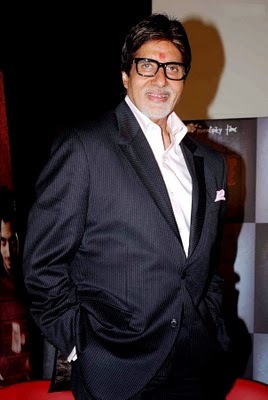 (2) Amitabh Bachchan is all set to do his come back on TV after Bigg Boss. While he is rehearsing for Kaun Banega Crorepati, he shares his experience of doing it all over again on his Blog.